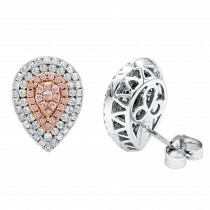 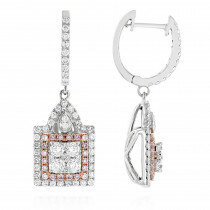 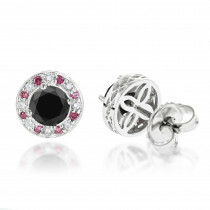 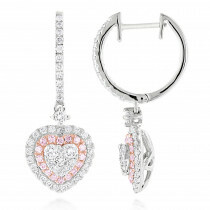 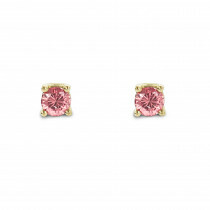 Pink Diamond Earrings: Premium Pink Diamond Earrings And Pink Diamond Stud Earrings At Discounted Prices. 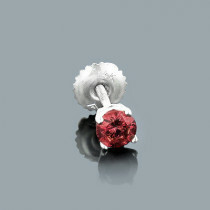 Rare to find pink diamonds for this price runs small but quality is undeniable! 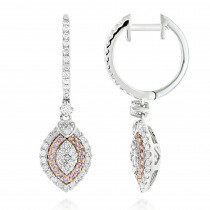 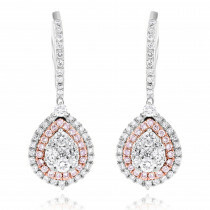 Love my pair of white and pink diamond drop earrings. 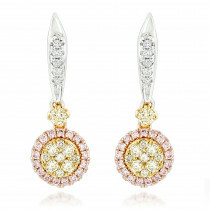 I wore them at my wedding and they matched my theme color. 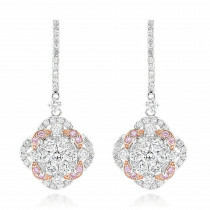 Decided to buy these earrings just as they look in the first picture, in white gold with the rose gold inside, which I must say look very good, I love how the rose gold metal accentuates the pink diamonds.